If anyone has seen the musical, “Fiddler on the Roof,” you will know it is about family, the Jewish people, and “Tradition.” It’s definitely a favorite movie of mine. The Catholic Church is full of traditions – Mass, incense, Easter vigil, feet washing, Benediction, Feast Days, Stations of the Cross, Holy Hours, etc. etc. These are wonderful church traditions that get passed on through the ages. Families also have traditions. We often cherish traditions that we loved when we were growing up with our family. When we marry we share each other traditions and see which ones to carry on, which is great….Or.. Sometimes new families can start their own traditions. Traditions have to begin somewhere and you could be that one to set it in motion. 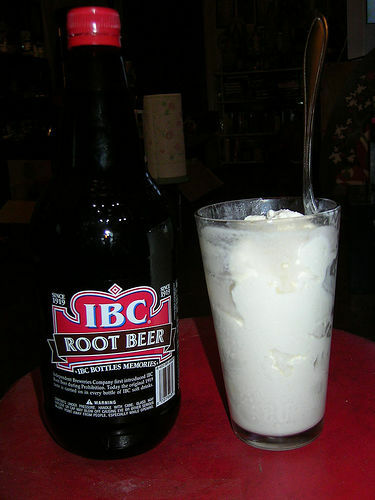 When I had young children, I decided to start the tradition of having root beer floats on New Year’s Eve. Why root beer floats? I don’t know, but it was a treat we didn’t have any other time of the year. It stuck. We did it every year. One of my older children has carried on the tradition. Others have begun their own New Year’s Eve tradition which is great. The idea is, have traditions! They don’t need to be expensive or elaborate. No matter how simple, children love them and they will remember them. On Christmas morning, I began the tradition in our family of having a birthday cake for Jesus placed on the kitchen table with a special table cloth from Ireland that I have. I put the plastic manger scene figures on top of the cake. We would sing Happy Birthday to Jesus and then eat it together. On my children’s birthdays we have a special breakfast for them on a festively set table. They get to choose the menu. Lots of fun. I could go on and on. So, parents, the idea here is not to underestimate the importance of traditions with your children. Each year when certain occasions roll around, your children will be asking, “Are we going to….” and they will inquire about whatever that particular tradition is in your family. Children really do delight in traditions. It’s kind of sweet when my grown children are home at a specific time of year and request the tradition of that time that they grew up with. I love it! Treasure your traditions together and have fun with them. They may live on a long time! Thanks Rachel. Traditions live on. Love you.